Present state: Don Bridge itself survives but there is no evidence of the station except perhaps a slightly raised area of ground where the platform once stood. Notes: Don bridge was the principal intermediate station on the St Aubin & La Moye Railway opening with the line on 30th August 1884, it was sometimes known as Don's Bridge, both names being shown on tickets. 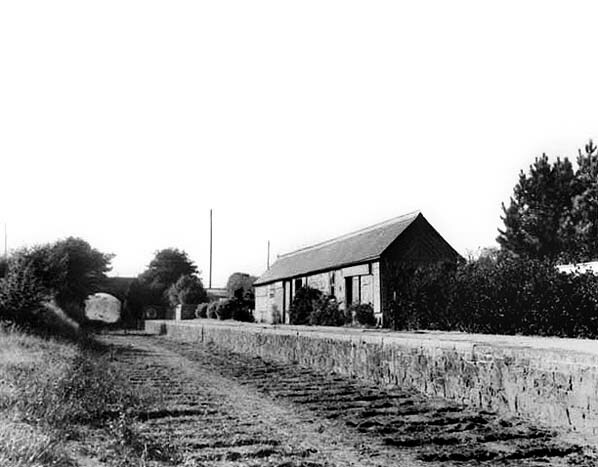 The station was named after the nearby General Don's Farm where a depot for seaweed had been proposed prior to building the line - this was never built. One of the first locomotives built for the line was also called the General Don. 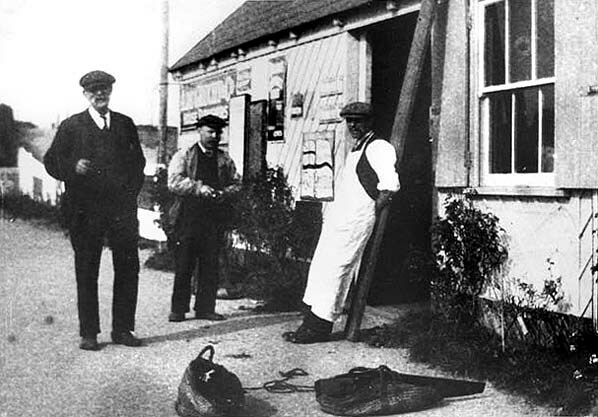 The station only had one platform on the up side of the line with a brick building incorporating booking office and waiting room but being the mid point on the line it also had a passing loop. 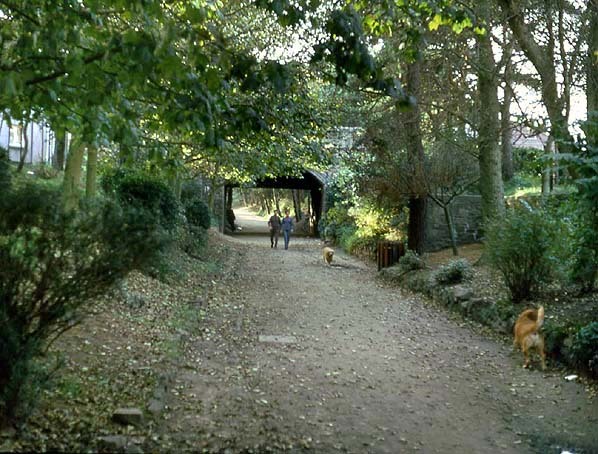 Don Bridge was used both by tourists as it was as short walk from St. Brelade's Bay and by the military as it was within walking distance of St. Peter's Barracks. In January 1884 the Chronique de Jersey reported that a committee had been formed to promote a new line from Don Farm (Don Bridge) to St. Peters Church. Although it's not stated a junction with the St. Aubin line at Don Bridge was assumed. 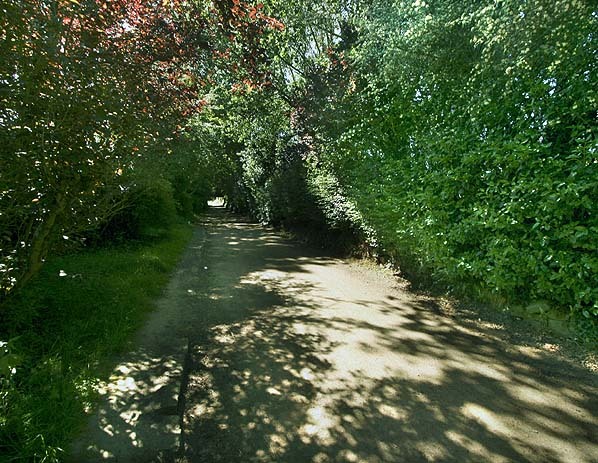 The railway was never built although the German's later followed part of its route when they built their line to Ronez Quarry. Don Bridge station looking west towards Corbière c. late 1930s, shortly after the track was lifted.. 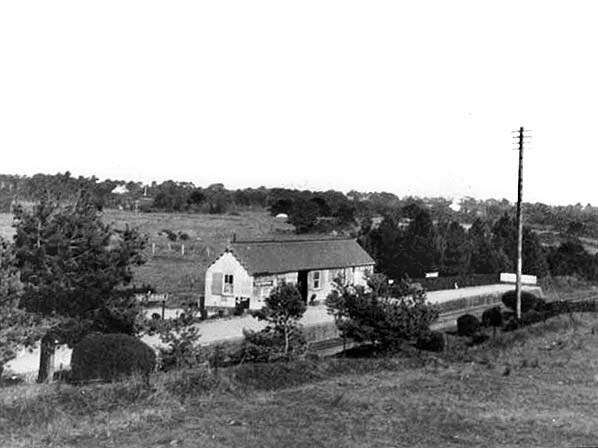 The site of Don Bridge station looking west in 1973. The west end of the platform was on the right. The site of Don Bridge station looking west in June 2010. The platform was on the right.